When you stay at Mantra French Quarter Noosa in Noosa Heads, you'll be in the entertainment district, just steps from Noosa Beach and Hastings Street. 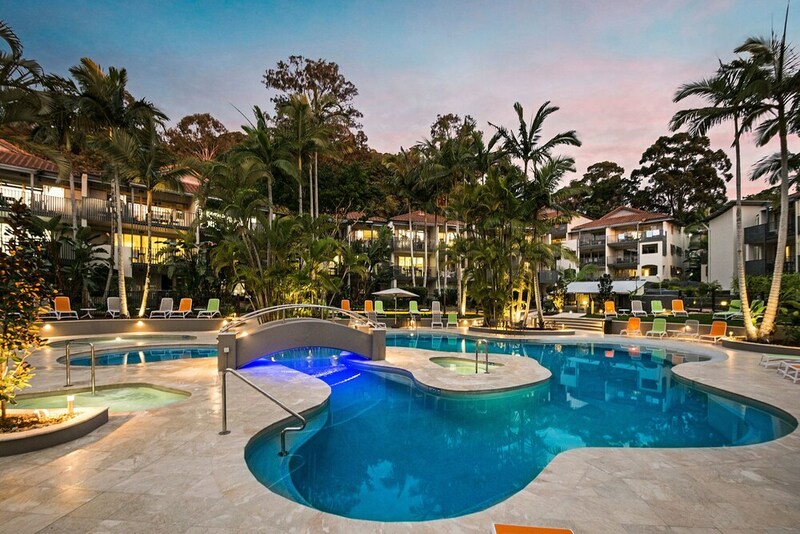 This 4-star resort is 1.3 mi (2 km) from Noosa National Park and 9.5 mi (15.4 km) from Coolum Beach. Make yourself at home in one of the 106 air-conditioned rooms featuring kitchenettes with refrigerators and stovetops. Complimentary wireless Internet access keeps you connected, and cable programming is available for your entertainment. Conveniences include phones, as well as desks and separate sitting areas. In addition to an outdoor pool and a children's pool, Mantra French Quarter Noosa provides a spa tub and a sauna. Public areas are equipped with complimentary wireless Internet access. This family-friendly resort also offers tour/ticket assistance, barbecue grills, and concierge services. Onsite self parking is complimentary. Mantra French Quarter Noosa is a smoke-free property.